First on our list of the best quality t-shirt brands for streetwear is Champion Sportswear! 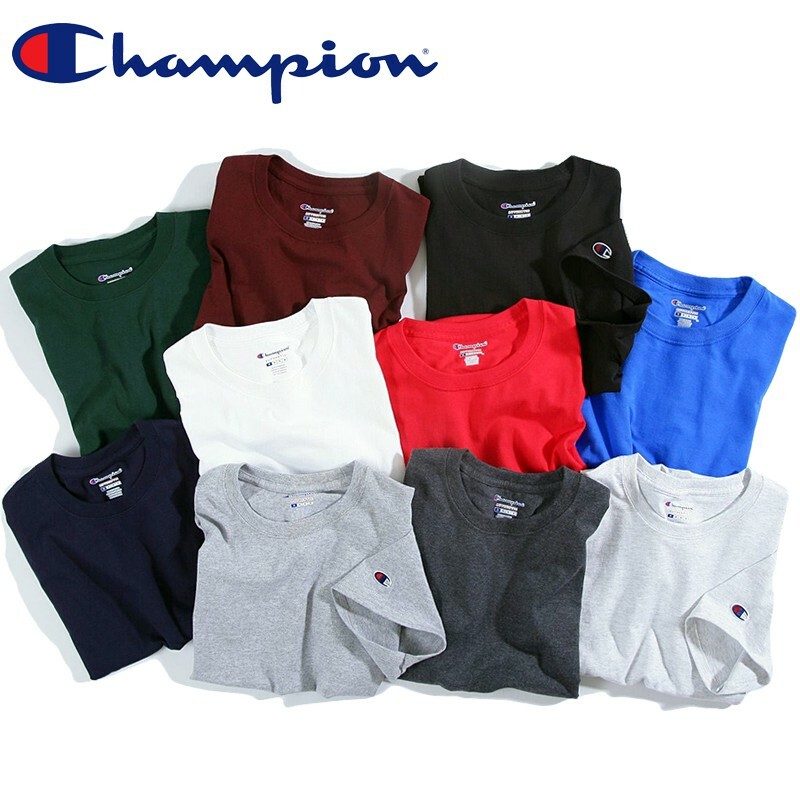 As a trending brand, Champion Sportswear produces a wide variety of popular t-shirts keeping you cool and fashionable. Made in the USA, Champion offers various styles to choose from like 100% cotton tagless tees, ringspun cotton lightweight tees, Champion heritage tees — just to name a few. Champion t-shirts are the perfect blend of comfort, style, and quality that can be worn for a very long time. Each Champion shirt features the iconic “C” logo on the left sleeve. Some shirts have the Champion “C” logo embroidered on the sleeve for a classic touch. The price of most Champion blank tees range from $5.00 to $10.00 (from the tier pricing of 1-11 pieces) that won’t break the bank! 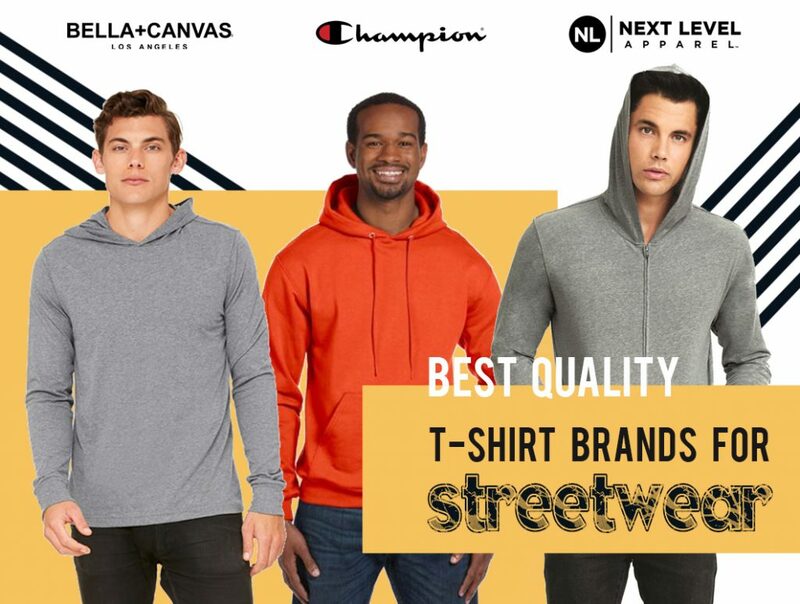 If you want to add your logo to blank tees with a well-known brand, Champion apparel wholesale tee shirts for both men and women are an awesome choice! Champion T425 – Short Sleeve Tagless T-Shirt — Call it a comeback! The best selling blank t-shirt at NYFifth.com. Made with 100% cotton fabric, Champion T425 is a comfortable relaxed 6.1 oz. t-shirt with tag-free neck label, generous sleeve hems, and a classic “C” logo on the left sleeve. Available in 10 colors, these Champion best blank tees have a place for almost everyone. Champion CP10 – Ringspun Cotton T-Shirt — This premium fashion classics t-shirt is made with 5.4 oz. 100% ringspun cotton jersey keeping you cool and comfortable whether lounging out or working out. It’s a lightweight tee featuring rib collar with single-needle edge stitching along armhole, and Champion “C” patch on left sleeve. There are 14 colors for you to choose from. Champion T2102 – Heritage Jersey T-Shirt — The Champion heritage tee in comfortable jersey takes to the field with deep armholes for ease of movement. Made with 7 oz. 100% cotton, this full athletic fit tee is bound to keep you cool, comfortable, and active whether training or playing. It comes in 5 classic colors. 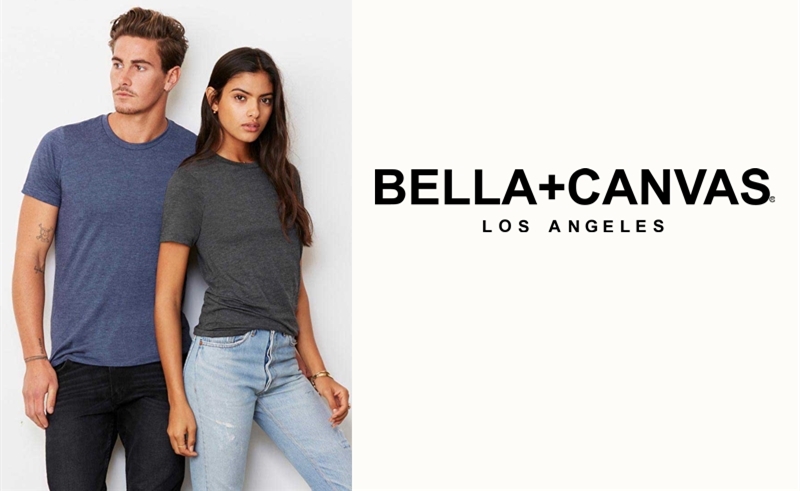 Bella + Canvas provides premium crafted super soft t-shirts at a low price. They offer a wide variety of trending styles (crop tops, long body tees, distressed tees, etc.) to meet your demand for different types of t-shirts. Made with preshrunk combed ringspun cotton or cotton poly blend fabric, and at an average cost in the mid four to six dollar, Bella + Canvas blank tees for unisex fit cost less yet is of high quality even after washing. With a wide selection of color choices, Bella + Canvas custom shirts are perfect for screen printing. Bella + Canvas 3006 – Men’s Long Body Urban Tee Shirt — Inspired by the massive streetwear trend for men, this long body tee is made with 4.2 oz. 100% combed and ring spun cotton(solid colors) or cotton poly blend(heather colors), and features side seams, rounded bottom hem and fast fashion style drop tail. Bella + Canvas 3091 – Unisex Heavyweight 5.5 oz. Crew T-Shirt — Made with 100% combed and ringspun cotton(solid colors) or cotton poly blend(heather colors), this unisex essential tee acts as a blank canvas for printing. There are 10 colors for you to choose from. Bella + Canvas 3001 – Unisex Short Sleeve Jersey Tee — A customer favorite blank tee for screen printing, the Bella + Canvas 3001 is designed with 4.2 oz. preshrunk superior combed and ring spun cotton that is the perfect blend of softness, comfort, and a great fit for both sexes. With over 80 colors to choose from. A fashion brand with great quality wholesale apparel for everyone, Anvil Knitwear (sister company of Gildan) offers a huge selection of long-lasting quality tees that balance style, comfort, and price. From lightweight to heavyweight, tri-blend to eco, ringspun cotton to cotton/poly, Anvil offers a variety of collections that are soft and cheap. TearAway labe provides optimal comfort and is great for starting your own custom apparel brand. The price of Anvil wholesale blank tees range from $4 to $8 (from the tier pricing of 1-11 pieces) without breaking the bank. Each tee shirt comes in a variety of colors. Anvil 980 – 100% Cotton T-Shirt — One of the best sellers at NYFifth.com thanks to its price, overall quality, and tubular construction. The Anvil 980 is a lightweight t-shirt that is made with 4.5 oz. preshrunk 100% cotton for softness, comfort, and a great fit. This Anvil custom tee with over 50 colors to choose from is perfect for screen printing. It’s also available in women’s style. Anvil 780 – Midweight Short Sleeve T-Shirt — This midweight tee is made with 5.4 oz. 100% combed ringspun cotton with double-needle stitching on neck, sleeves, and bottom hem. Preshrunk jersey knit makes it a long lasting wear even after washing. It’s also available in women’s style. Anvil 5624 – Lightweight Adult Long & Lean Tee — This long and lean tee is made with 4.3 oz. 100% ringspun cotton with fitted silhouette, side seam construction with vents and 2″ drop tail, shoulder-to-shoulder tape and 1/2″ seamed collar, double-needle sleeves and bottom hem, and high stitch density for for smoother printing surface. 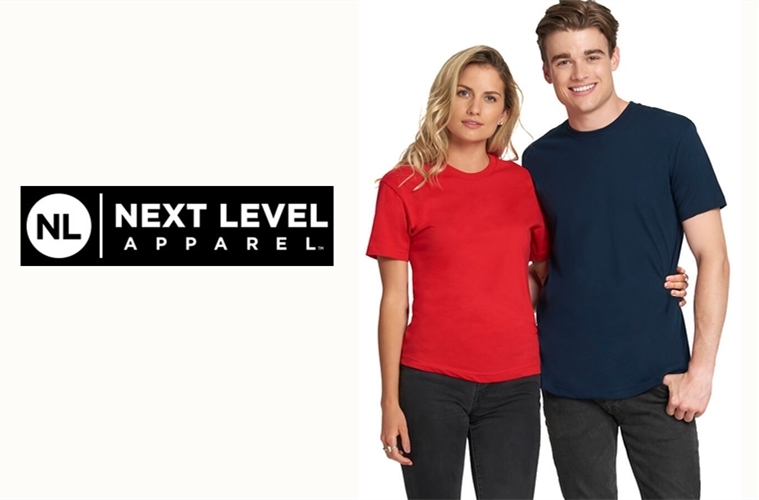 Next Level Apparel is a leading fashion blank clothing manufacturer. They offer a wide variety of quality blank tees for both men and women with the styles of classic tees, v-necks, scoopnecks, raglans, etc. Made with innovative fabric blends and utilize combed ring-spun cotton fabrics, Next Level wholesale tees are heavenly soft, extremely comfortable, and a great fashion-forward style at affordable price. It’s perfect to add your name, business logo, or custom design to our Next Level custom tees. Next Level 3600 – Men’s Fitted Short-Sleeve Crew — A very popular blank tee used by many brands to re-label and create high quality merch. Next Level 3600 is made with 4.3 oz. 100% combed ringspun cotton with set-in 1×1 baby rib collar, side seamed, and tear away label for softness and comfort. There is a companion for women Next Level 3900. Next Level N6210 – Men’s CVC Crew — Made with 4.3 oz. 60% combed ringspun cotton and 40% polyester jersey, this lightweight t-shirt has a high-end jersey blend with a slightly heathered appearance. Comes in 30 colors, this blank t-shirt is available in women’s style. Bring your design to life on Comfort Colors blank t-shirts at a low price. You’ll get that soft, vintage look and feel that normally results from years of wear. Each shirt comes in a variety of Comfort Colors’ pigment-dyed colors. Comfort Colors C1717 – Men’s Ringspun Garment-Dyed T-Shirt — One our best sellers! 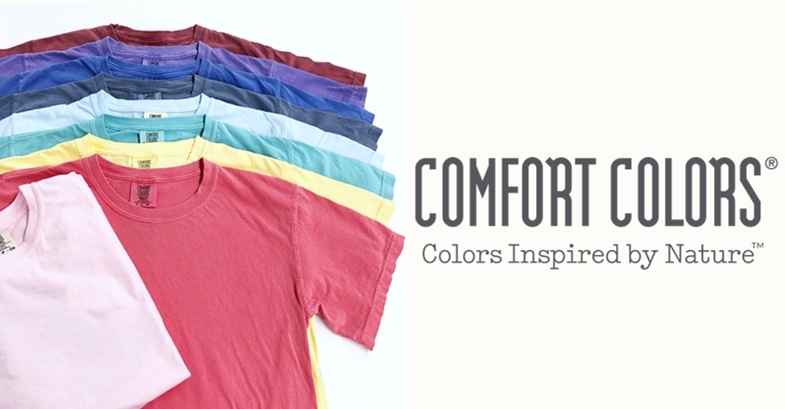 Comfort Colors 1717 is made with 6.1 oz. 100% ring spun cotton, soft-washed garment-dyed fabric with double-needle collar, armhole, sleeve and bottom hems that’s soft, sturdy, and has a vintage look. With over 50 colors, this garment dyed blank tee is perfect for printing.